I am at the stage in my life where I wonder about the women in my lineage who came before me. I am mostly interested in the things that brought love and life to their hearts. Their stories I would hold dear to my heart. I have knowledge of only some of their passions and interests. Here is my mom’s favourite flower I have painted. My granny’s glass jug and the memory of her love for gardening and sketching roses. It all helps to understand how we ourselves are showing up today and what our hearts are drawn to. We are always connected…. the women who came before us and the ones who are still to be born through our lineage. 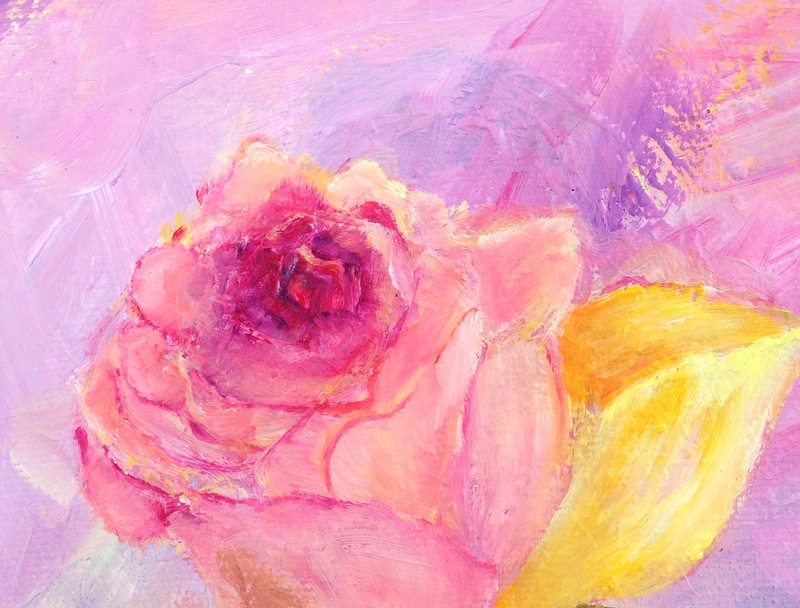 I really loved painting these delicate roses. It was a warm autumn afternoon when I began creating it. Such a soft, gentle atmosphere filled my studio as I was busy. The canvas is textured which adds lovely interest to it. This painting is no. 44/100 Expressions of love… a painting project I began to draw a different energy into my own life. 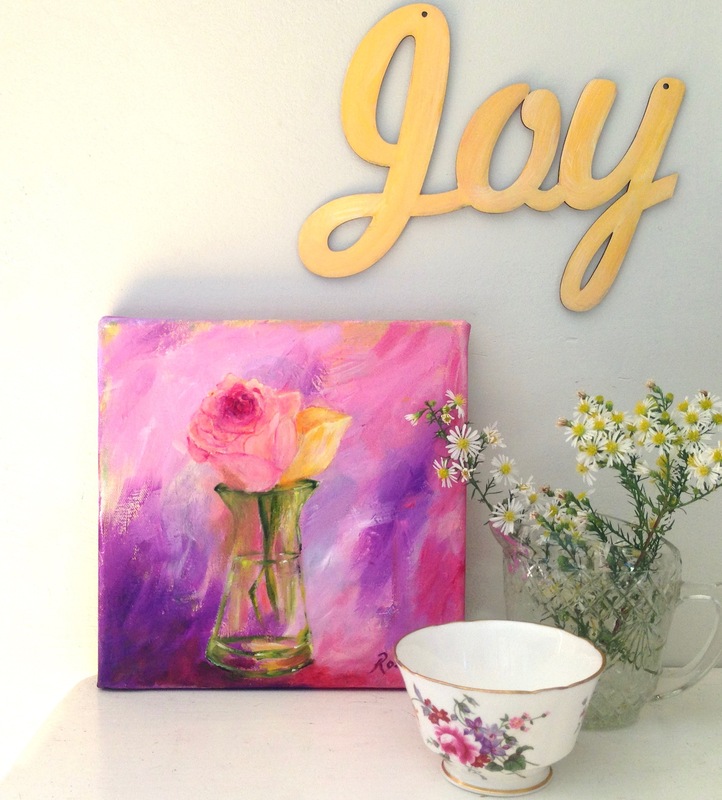 “Blooming gracefully” has just been SOLD. It has found a home here in Cape Town and looks absolutely lovely in a peaceful guest bathroom filled with shades of lavender. It makes me so happy to see how dearly loved this creation is by its new owner. I will be listing prints of this really gorgeous original oil painting. 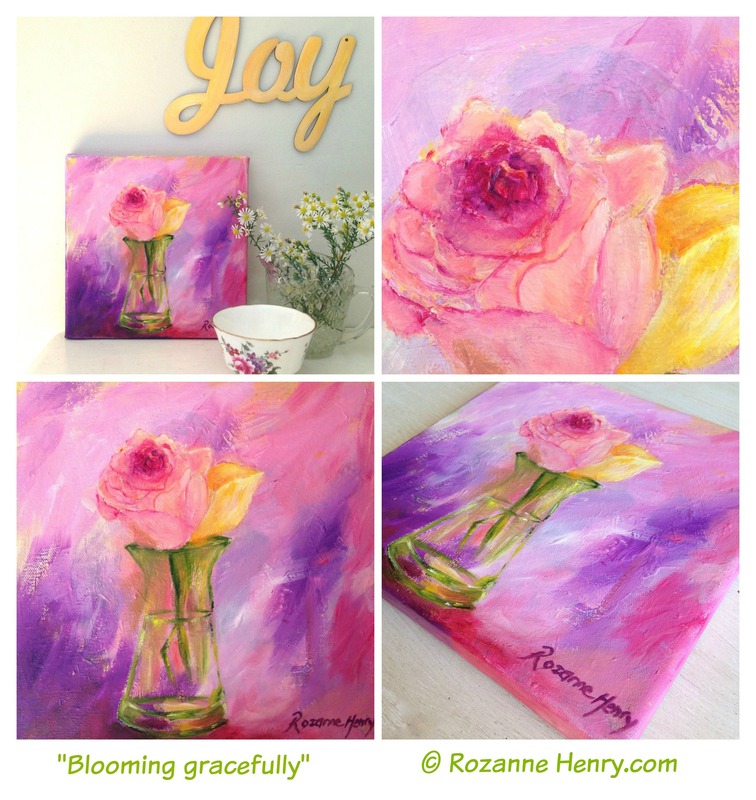 “Blooming gracefully” would make a beautiful and special Mother’s Day gift or self-love gift for yourself. 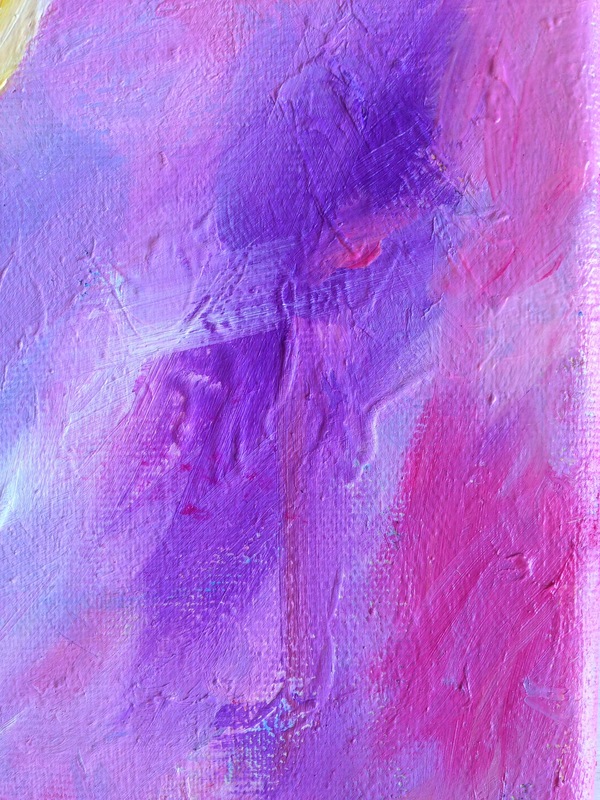 The original painting has been created in oils. 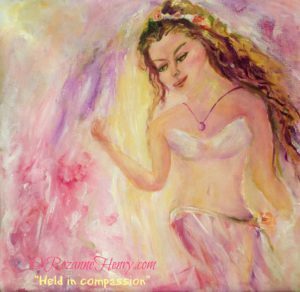 May your feminine spirit feel beautiful and celebrated. 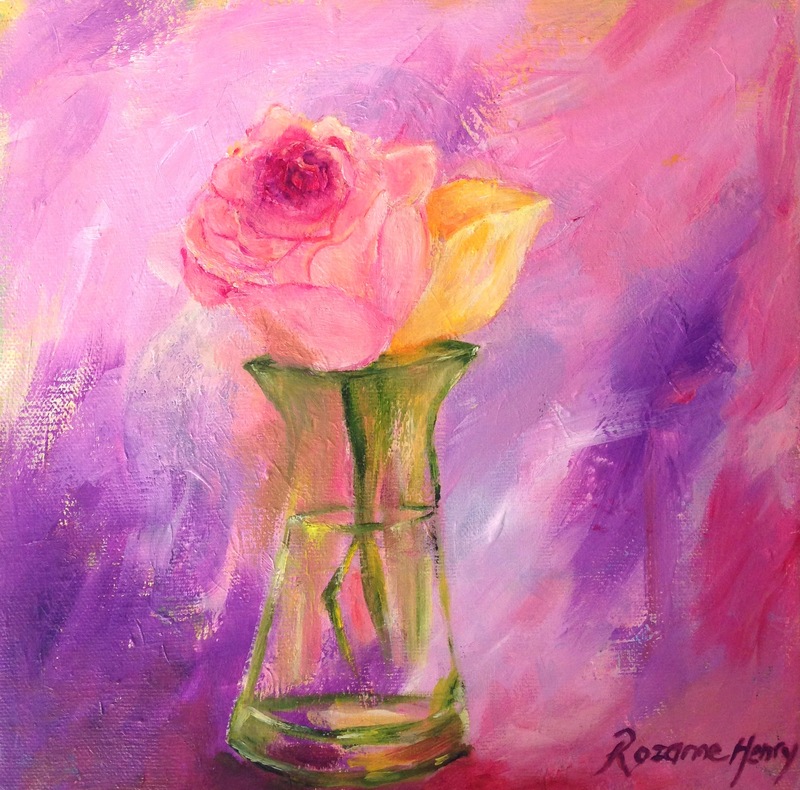 PS: I have begun intuitive art coaching sessions…. it is a beautiful space to Paint your voice alive and free the joy inside of you. 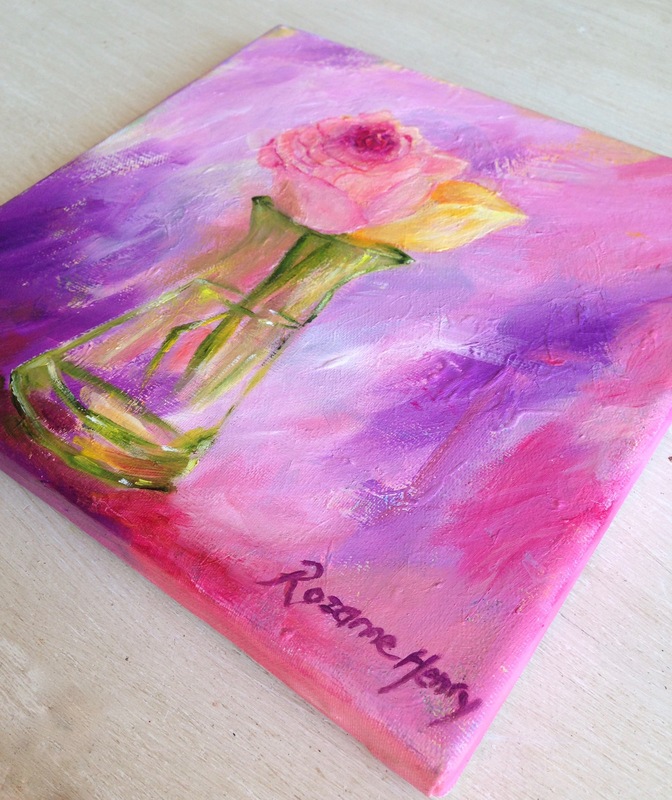 These sessions are so much more than a painting lesson… more info will be arriving on my website soon.